According to Realtor.com, DMX's residence in Mount Kisco, New York is now being listed on the open market. The 3,600 square foot has been put up for short sale, by no coincidence, one the more common ways to settle debt through a real estate asset. 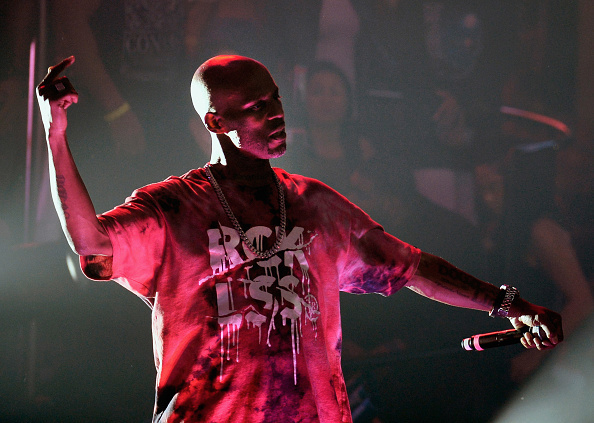 As you likely know, DMX faces a hefty $1.7 million bill stemming from the tax evasion sentence he dutifully served last year. Upon a further investigation into the matter, it was learned that DMX's name was indeed associated with the ownership consortium "ET Properties 1 LLC" to whom the property belongs. Everything about this shortsale listing illustrates how an asset can lose its value when a seller broaches the issue from a weakened position. DMX and cie are describing the home as a "diamond in the rough." DMX purchased the residence in 2000 when he was inarguably at the top of his game, paying $649,000 for the Westchester property. The area isn't too far removed from the stomping grounds of his youth in Yonkers. The $1.7 million sum was tallied from the income he failed to report over a subjected timelined. Of course, the judge presiding over his case also tacked a few surcharges to the final sum, as well as the jail bid he went on to serve. When DMX's finances took a dip in 2006, the Yonkers native tried to sell this very home for $1.9 million but couldn't find a bidder during the recessive period. To whom it may concern, the Mount Kisco residence is now being listed at $699,000. All the best to DMX in his efforts to rise above the red line.